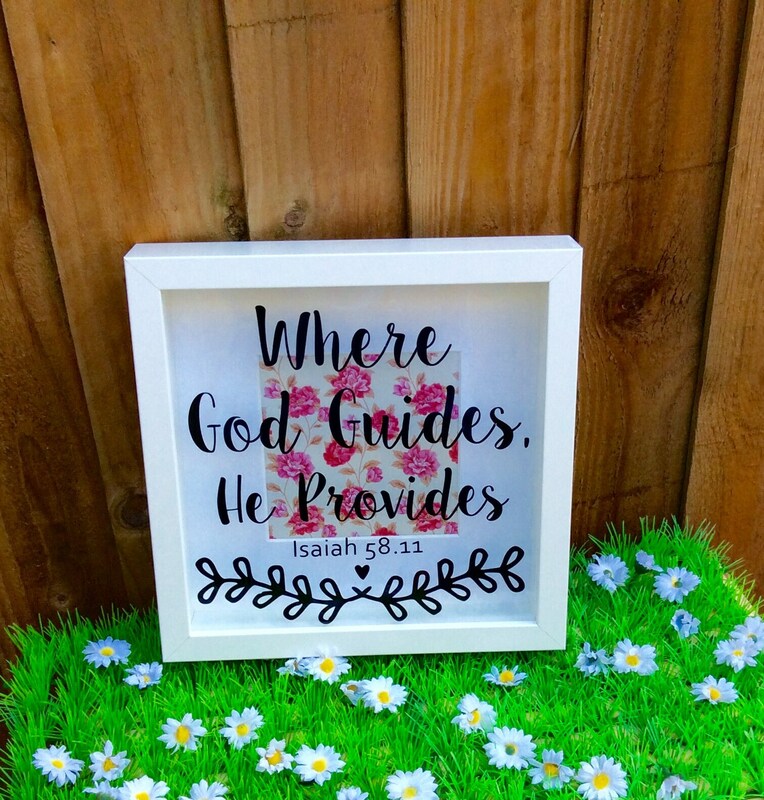 A contemporary Bible scripture shadow box frame with a scripture that reads "Where God guides he provides". From the book of Isaiah. 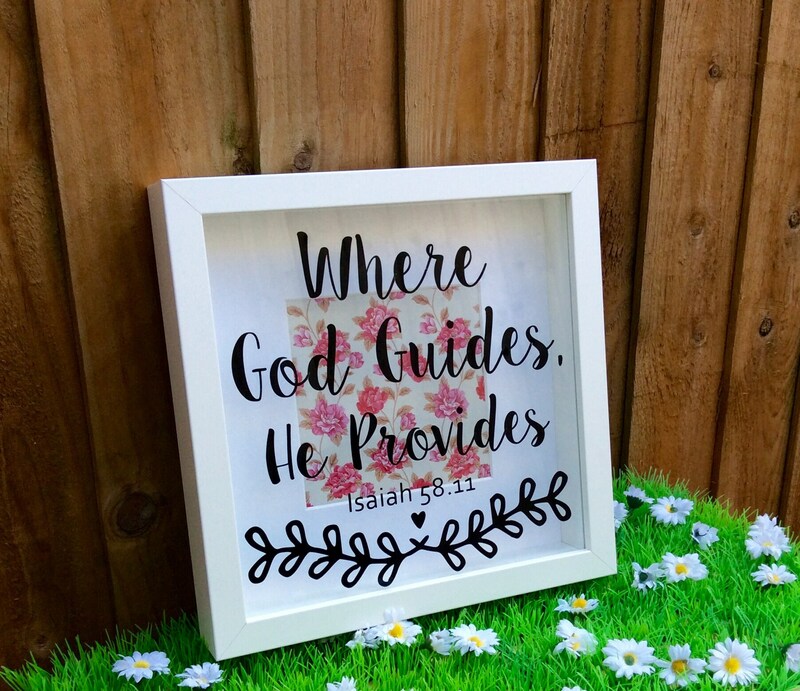 An ideal gift or keepsake for a Christian friend or relative or wall art decor in a modern Christian home. 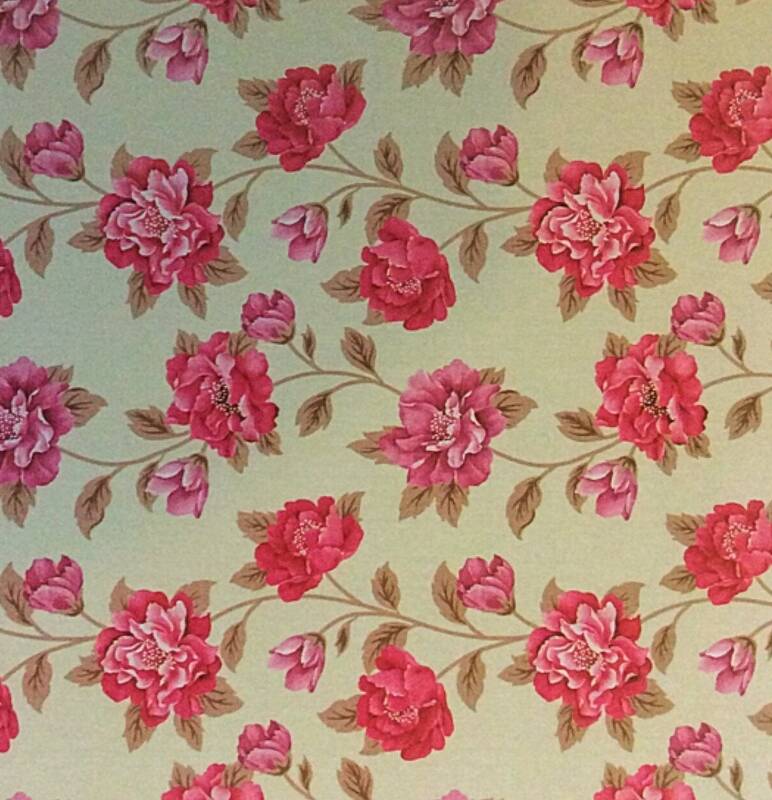 Pink and cream vintage floral background with mount. Box frame size is approximately 9x9" (23x23cm). 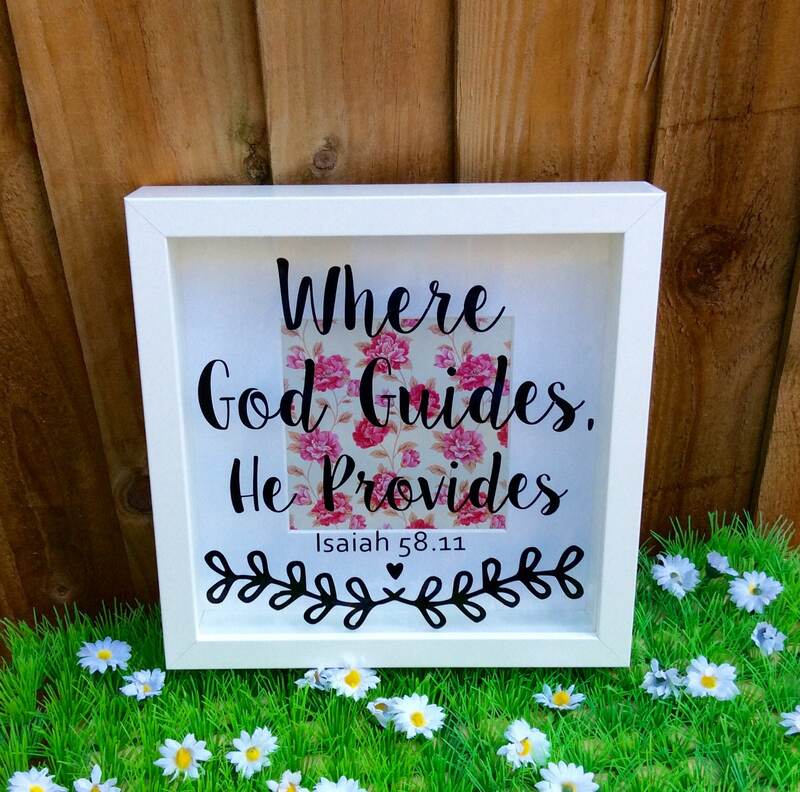 Includes a hook to hang on wall or can be displayed freestanding on a shelf or mantle piece. 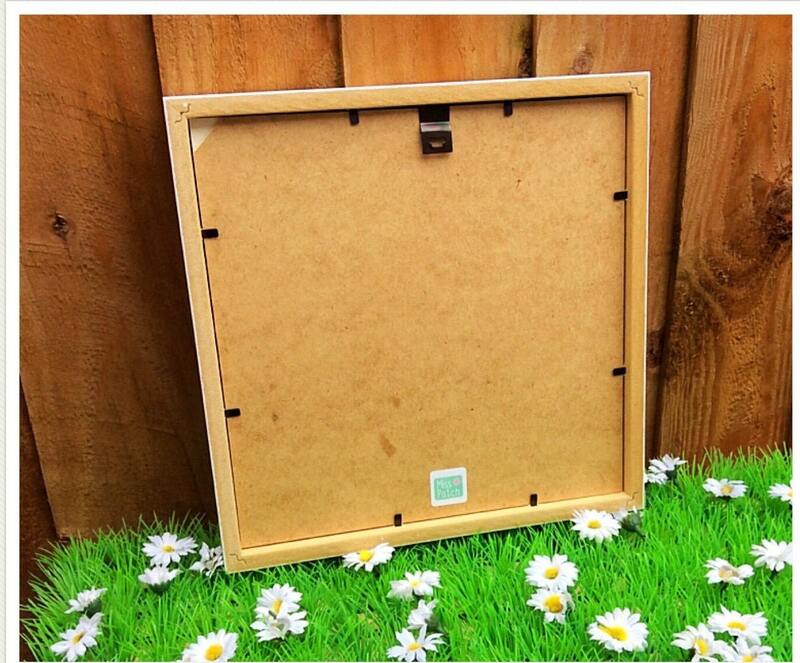 All frames are carefully wrapped, boxed and packaged individually for full protection whilst shipping. This means that each frame is shipped individually to keep the price of shipping down. All International shipping is sent by International Standard by Royal Mail. (Maximum 2-3 weeks from shipping date) *PLEASE NOTE* This shipping is not tracked. If you would like your item shipped tracked then please select the option when purchasing your item. If you would like an additional item and/or an alternative method of shipping please contact for details.